We cannot say enough wonderful things about Joe Payne. Joe did our engagement and wedding photos and he went above and beyond to make everything perfect. Not only is Joe a truly great person to work with but his photos are amazing! Joe was with me the entire day of our wedding from 9am to 11pm. He even came down the day before to check out where the reception would be and also took the time to take all the detail pictures of my dress, the rings, my shoes, garter, etc. The day of the wedding Joe was so easy going and completely worked with us on our schedule. At the reception Joe blended in with all the guests and you weren’t even aware he was there taking pictures. He is so personable. Everyone loved him! We got back our pictures in a very timely manner and we were just blown away. They are so so beautiful and Joe caught so many great shots. Our pictures truly tell the story of our day. He caught so many sweet moments, fun moments, and so much love. The pictures were everything we had hoped for. 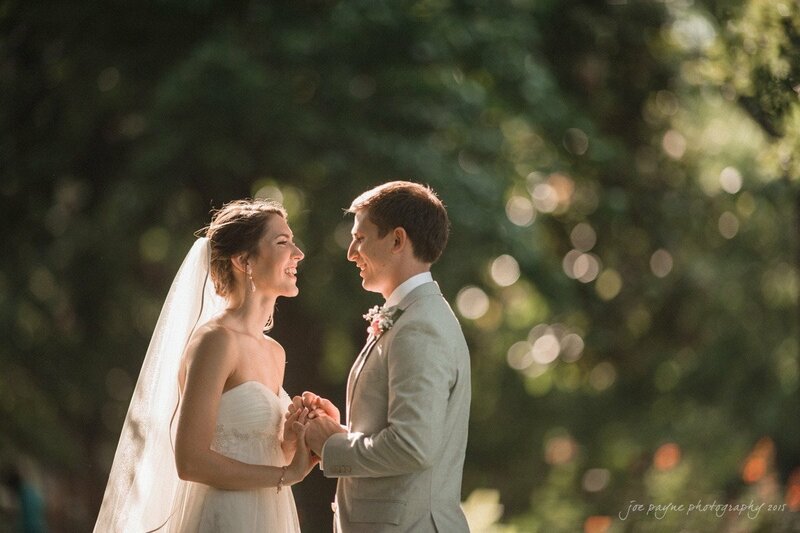 We would highly recommend Joe to any couple who wants to perfectly capture their big day.